Want to have quick and easy access to events happening in Barbados? Simply install our mobile app! Suitable for both phones and tablets. Ideal for visitors and Bajans. Our mobile apps feature full event details of what's on in Barbados, top featured events, mapping & geolocation to get you to the event and links to event tickets. 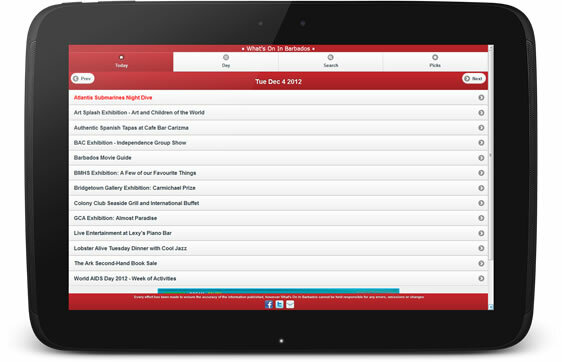 Apps coming soon for iPad and iPhone... stay tuned!